Designing Worlds enjoys the Art Walk in Raglan Shire – now on the web! 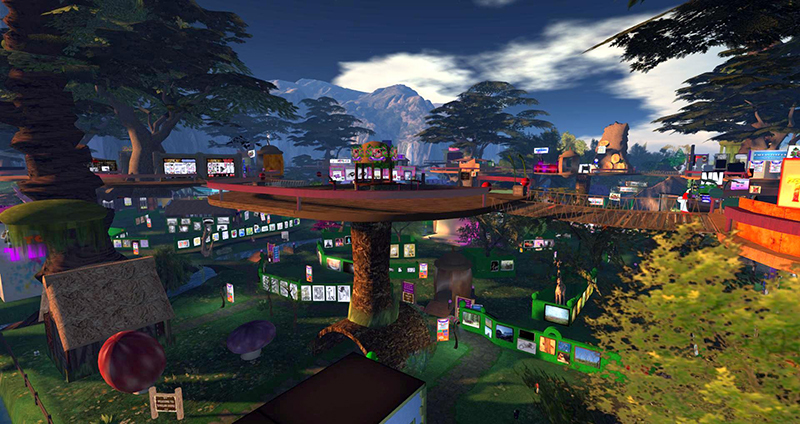 Don’t miss the recent Designing Worlds show visit to the fantastic Art Walk in the tinies’ communiity of Raglan Shire, now on the web. There was an amazing number of pieces on display, some by well-known artists … and others by artists at the starting of their careers. We explore the 2D and 3D art on display, spread over four different sims, in part from the back of the splendid hedgepillar (a cross between a caterpillar and topiary) created by Xavian Starsider, who joins us for part of the show. Our hosts and tour guides for the show were Teal Freenote and Kaydge (Kage Stratten), who told us not just about the art and the Art Walk, but also give us a fascinating insight into tiny culture. And, of course, no event with tinies would be complete without a party, so the amazing tiny elephant that is Ganjo Mokeev playedus out with his band at the end of the show (which acquired an extra and possibly unexpected dinkie dancer! ).